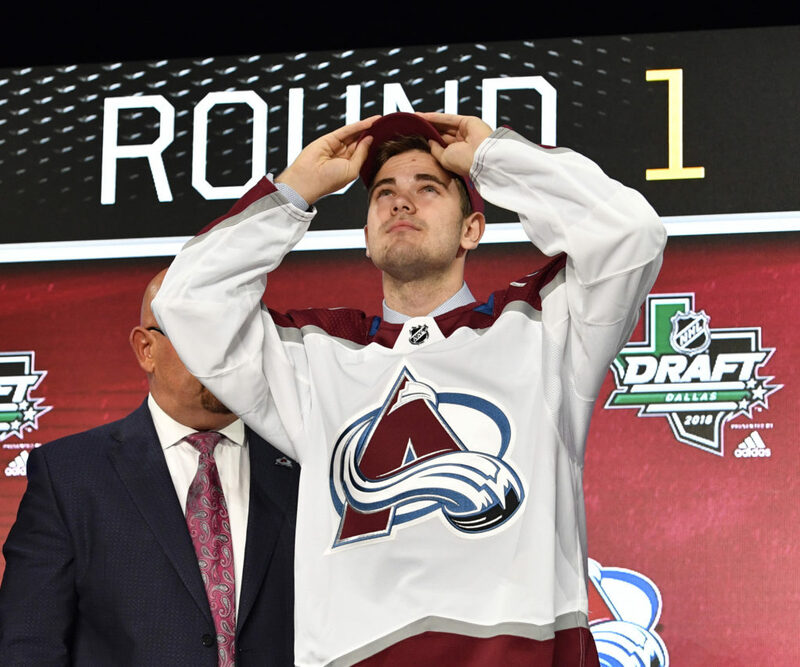 The hockey season is officially upon us, as the Colorado Avalanche rookies hit the ice on Friday morning for an hour and a half training session prior to leaving for Las Vegas. While there wasn’t a lot to take away from the session overall, here are some quick observations on what went down. Conor Timmins was not on the ice, and it was announced he is still suffering from concussion symptoms. If you’ve been following along with me on twitter, this news is hardly a surprise. His attendance during informal skates has been very erratic, and in recent weeks he’s been a no-show. As arguably the top prospect that was set to participate in this camp, it’s disappointing that he’s still dealing with these symptoms, but he will now be shut down until he’s feeling better. It was the first official look at Igor Shvyrev in North America, and he did not disappoint. The highly skilled Russian looked to be the most talented player on the ice, and he shoots angry, releasing the puck with a velocity that was unmatched by other players on the ice. If he transitions to the North American game smoothly, he could be a steal. This year’s first round pick Martin Kaut was the sniper of the day, combining both velocity and accuracy on his shot to produce several goals. He was the first skater on the ice and appears to be a bit of a rink rat. Sergei Boikov was on the ice for the first time since his shoulder injury in pre-season last year, and he looked like he had something to prove. He was not shy about using his shoulder, displaying a level of physicality that was unmatched by the other players on the ice. It’s always nice to see a player not look timid coming back from a major injury. Nic Meloche was easily the most polished defenseman on the ice, which shouldn’t be a surprise given his skill level and experience. A big year is expected from the young, right shot defender. The Avs head to Vegas to participate in the Las Vegas Face-off Tournament, starting tomorrow when they take on Vegas at 8 PM MST. A stream is expected to be available for the tournament.